MudBay Musings: Happy Father's Day! I’m so blessed to have a wonderful father! 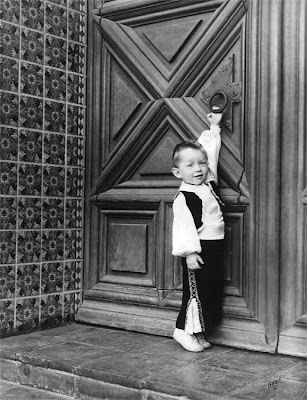 One of my favorite pictures of him was taken on the Santa Barbara Courthouse steps in 1937, when he won first prize at the Old Spanish Days Fiesta for being so nattily attired. His mother made his costume by hand, using real silver threads in the embroidery. I think they made the right choice for the prizewinner that year, don’t you? Happy Father’s Day, Dad! This is such a great photo! You must treasure this!! OH MY is he ever so cute... now I know why you are so talented... You get it from BOTH SIDES of your family!!!!!! What a great photo and he was indeed nattily dressed! This is priceless! Thanks for sharing it.